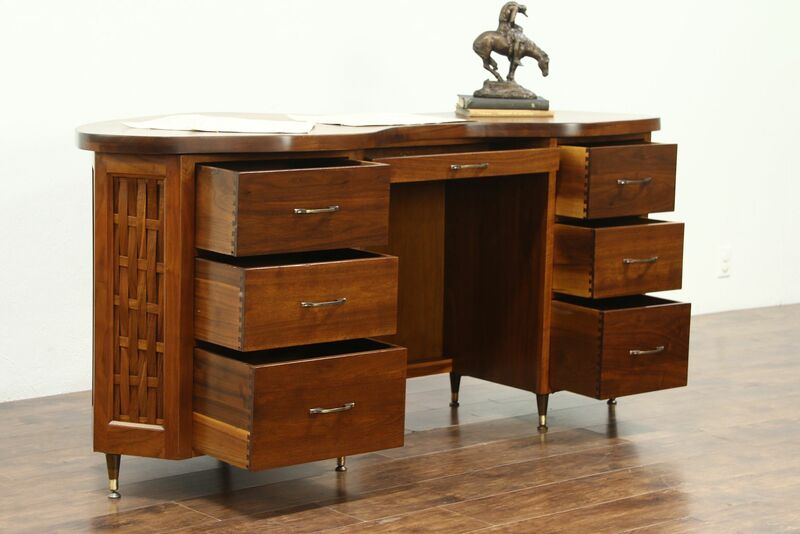 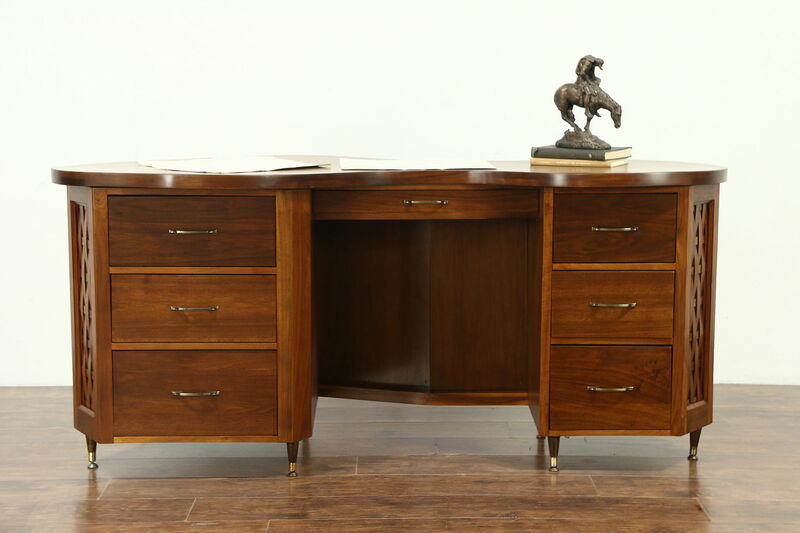 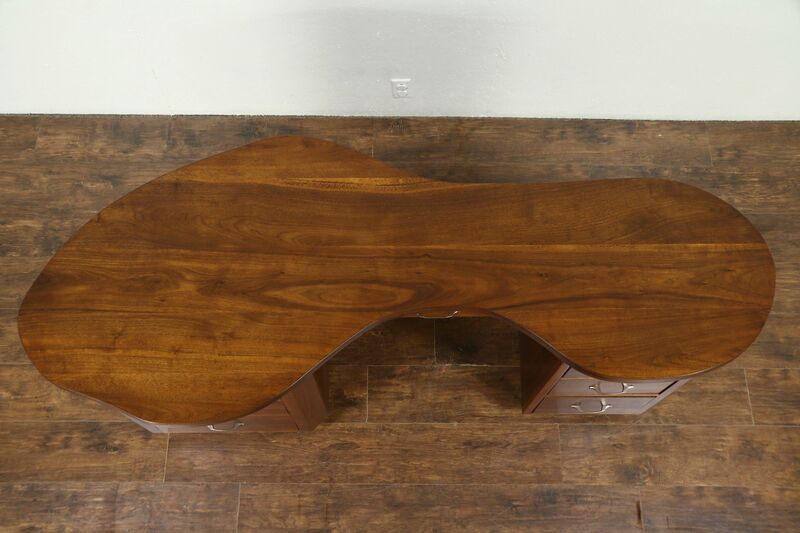 A Midcentury Modern custom designer desk from the 1960's has a free form shape and hand made basket weave panels. 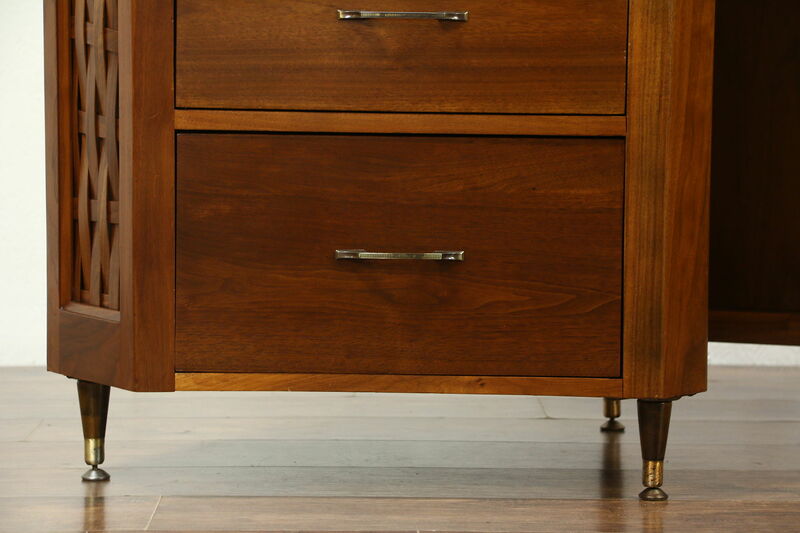 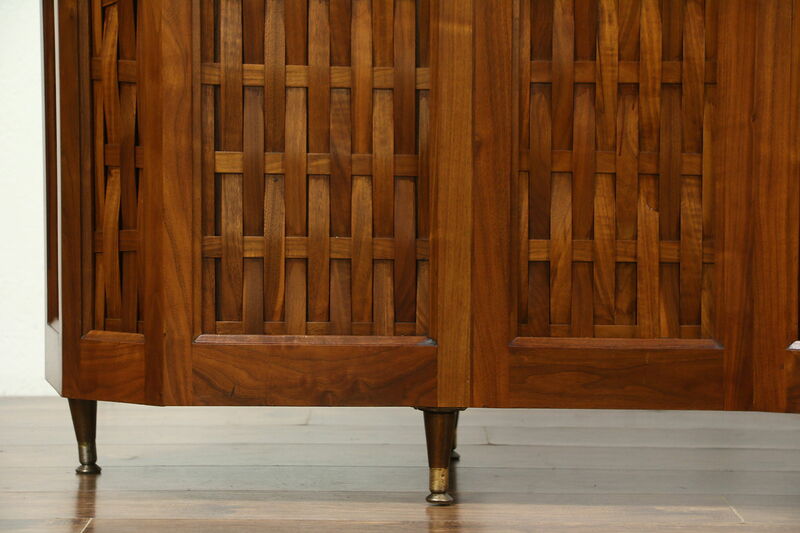 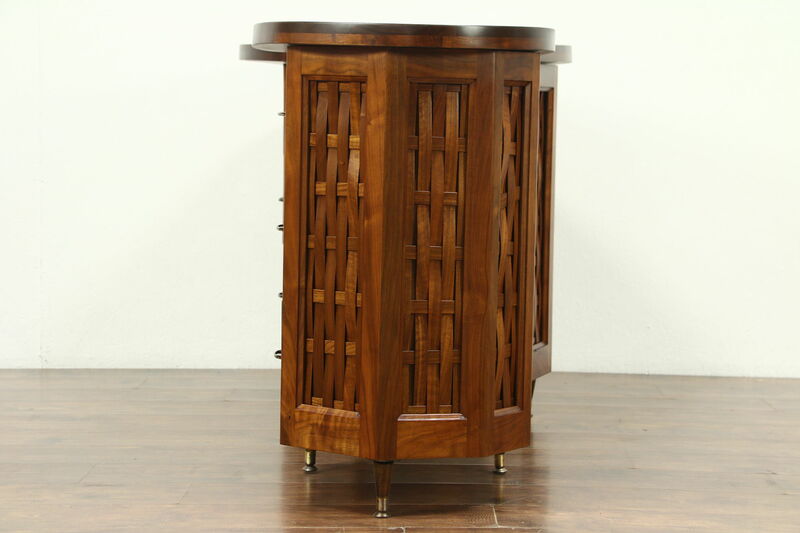 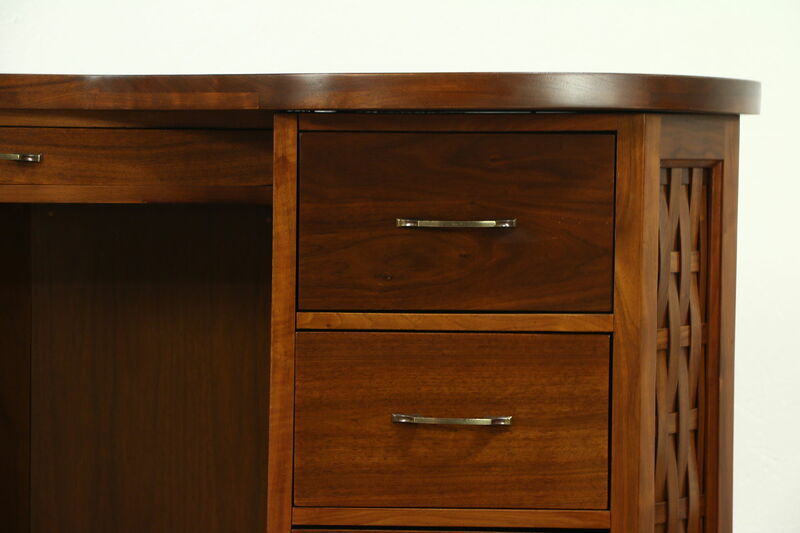 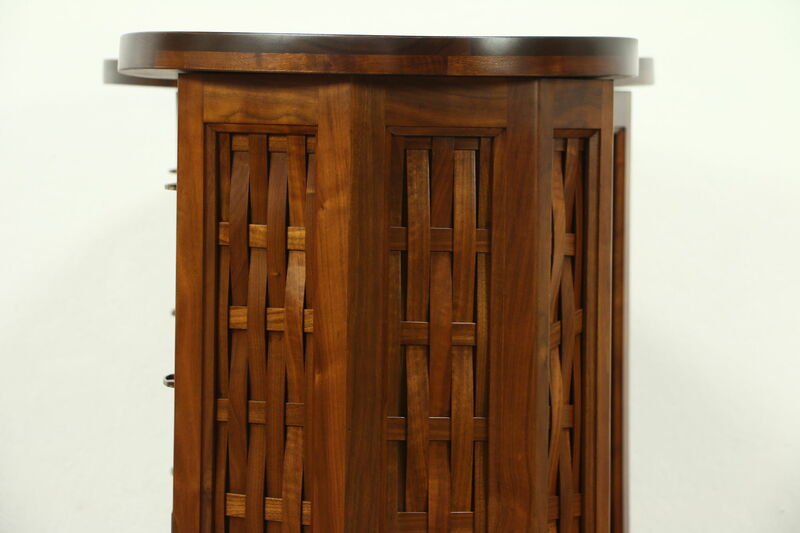 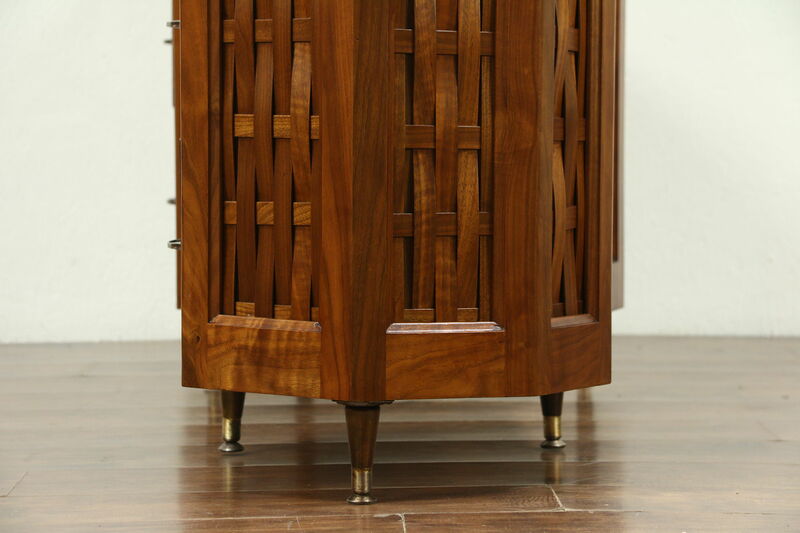 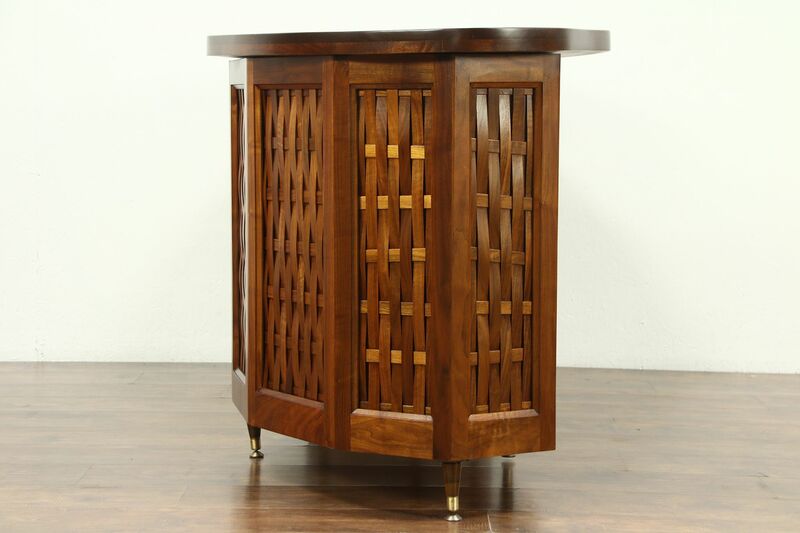 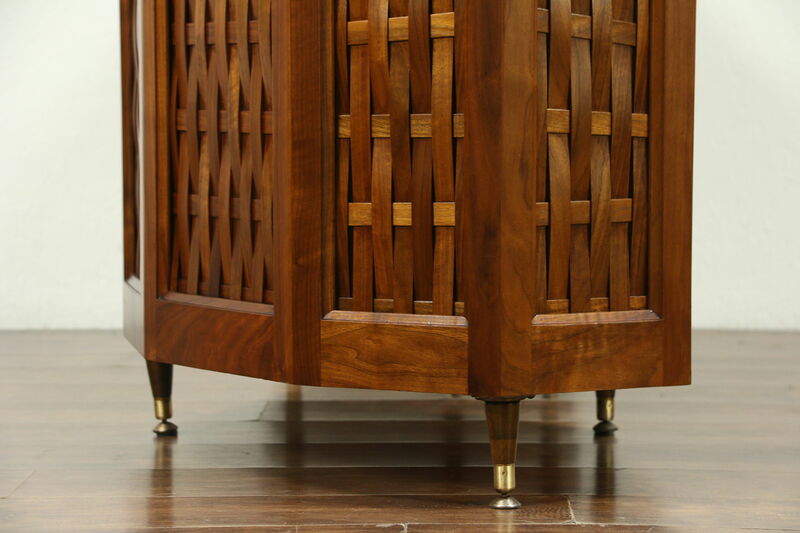 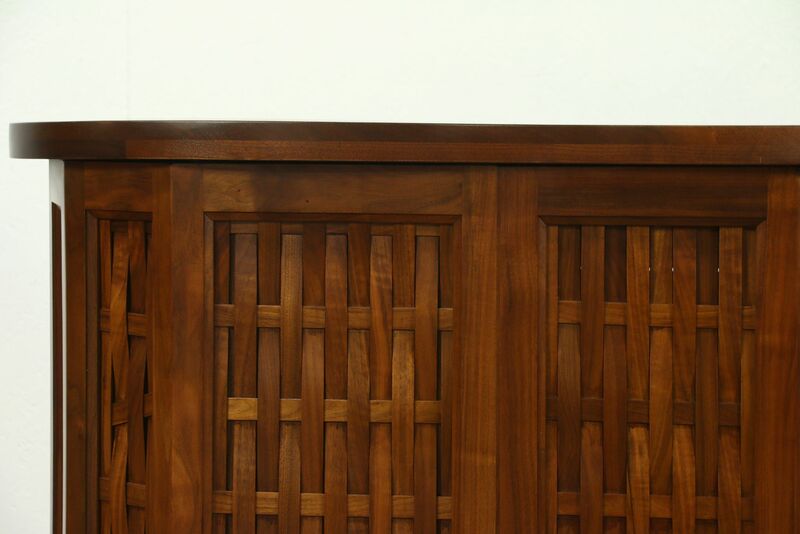 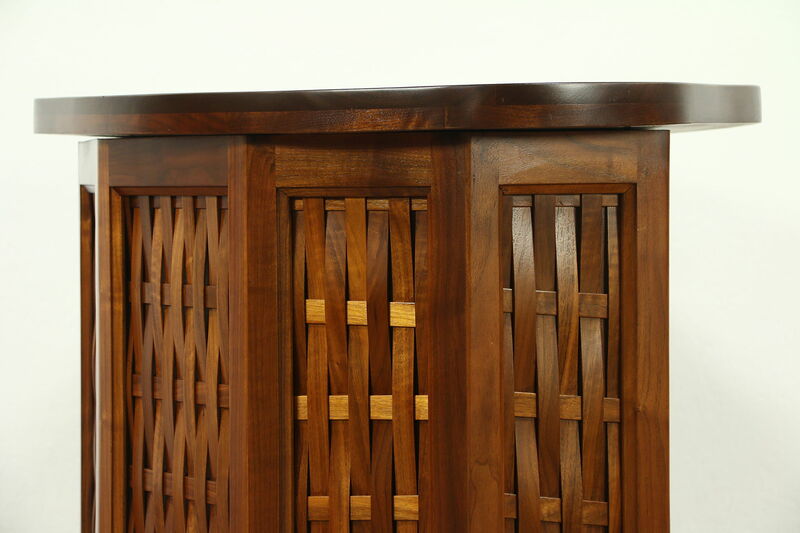 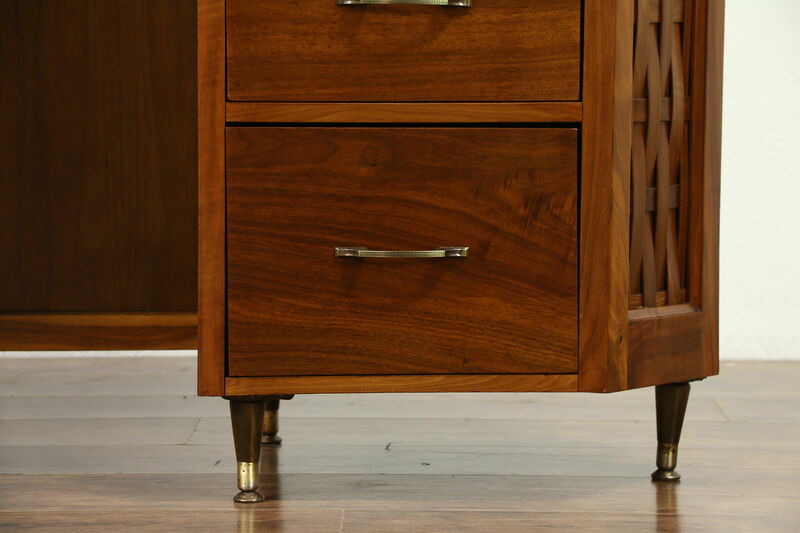 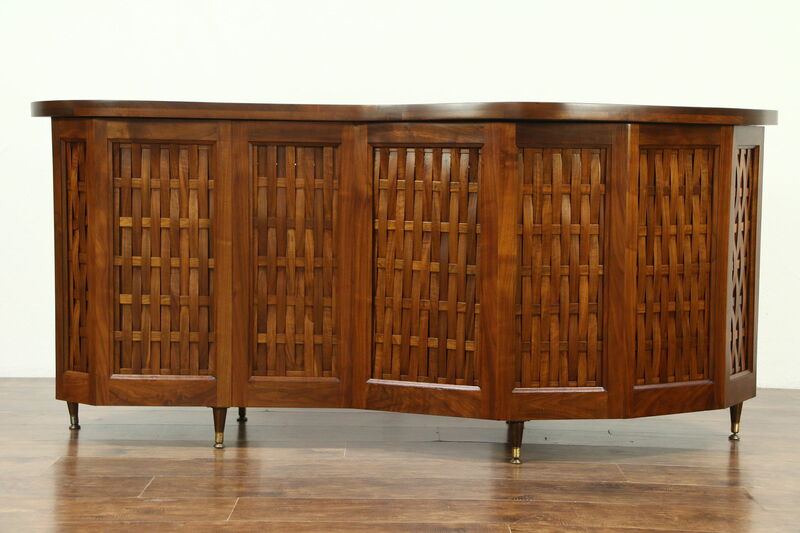 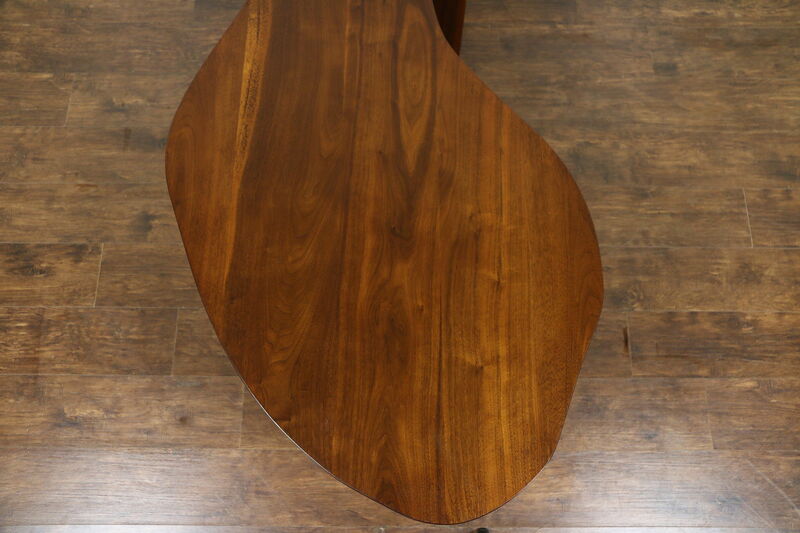 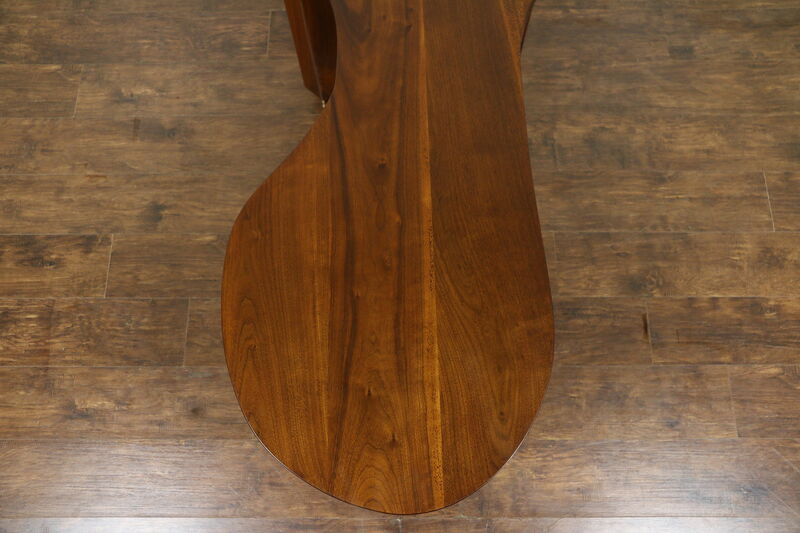 Entirely crafted of solid walnut inside and out, this vintage furniture has no surviving maker's signature. 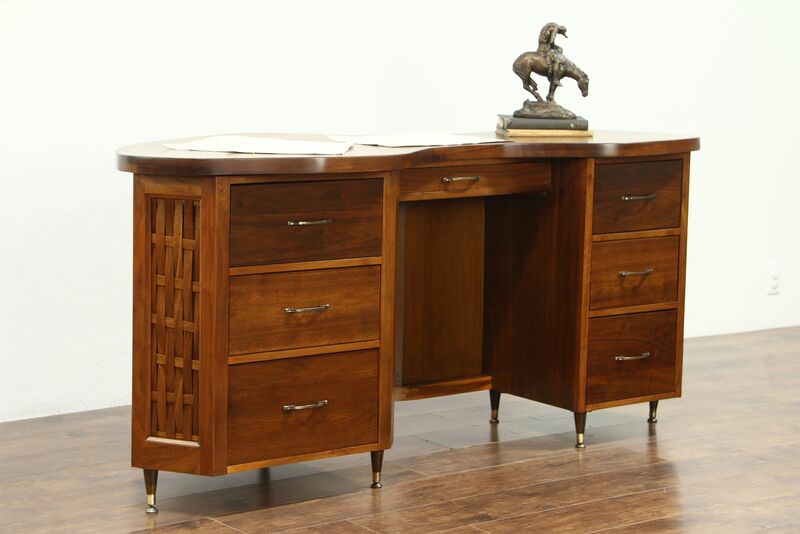 The restored finish is in excellent condition on this one of a kind desk, which looks like a prop for a James Bond movie of the era. 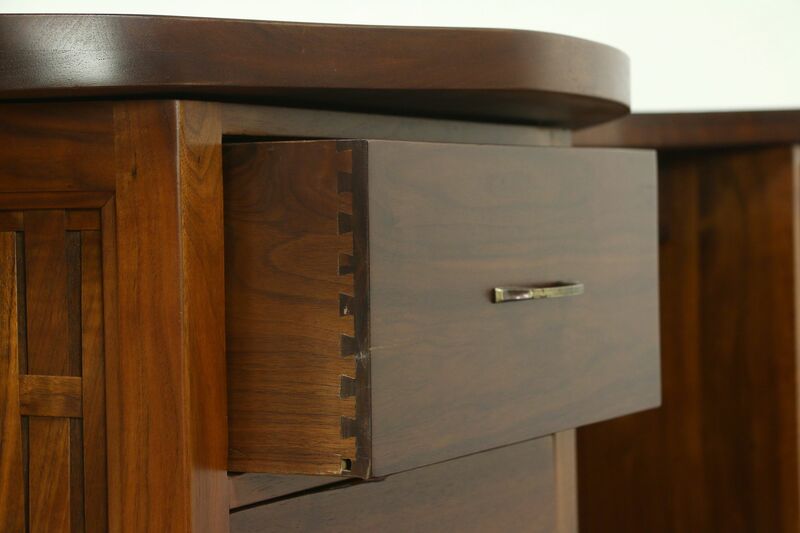 American made, drawers have dovetailed joints and original pulls. 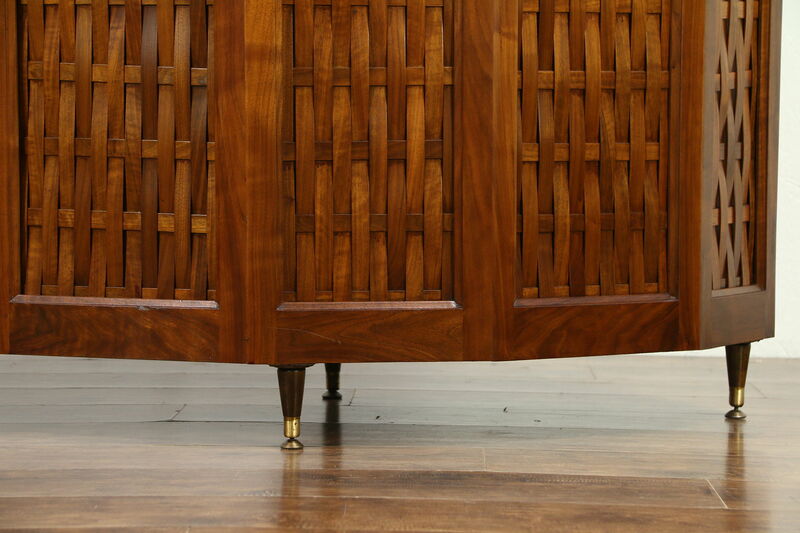 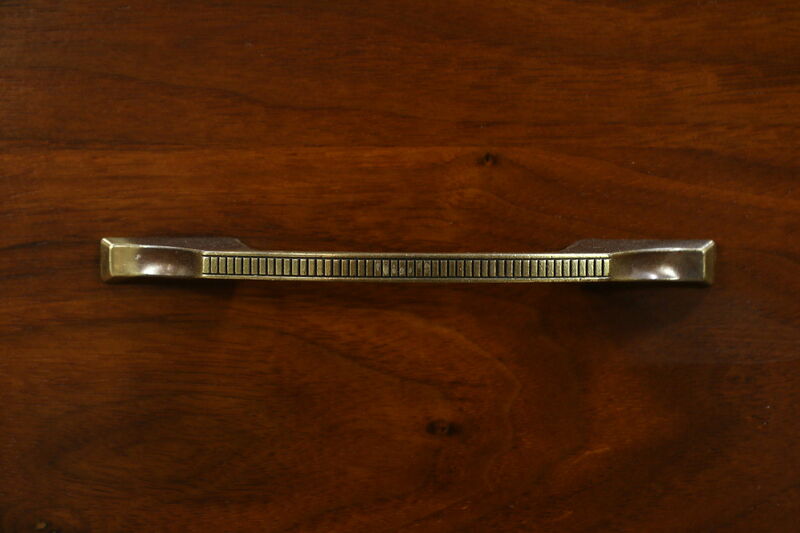 Measurements are 73" long, 29" deep and 32 1/2" tall. 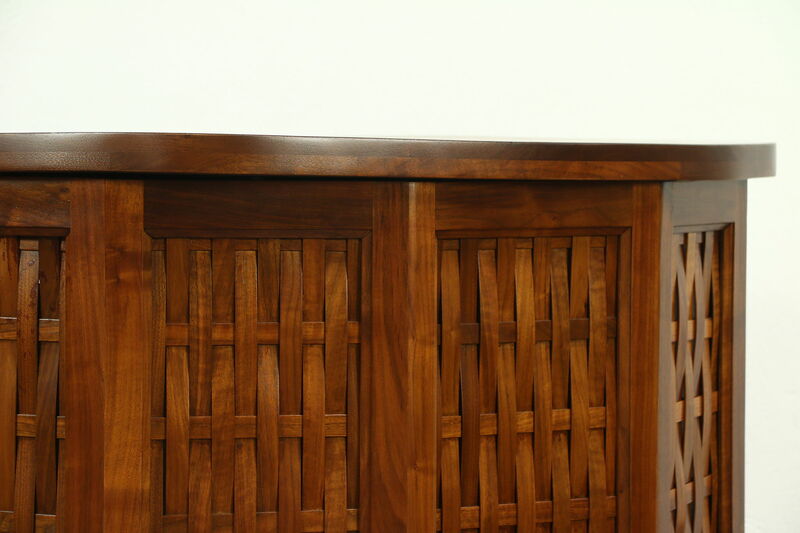 Please view 24 photos at full screen size for best detail. 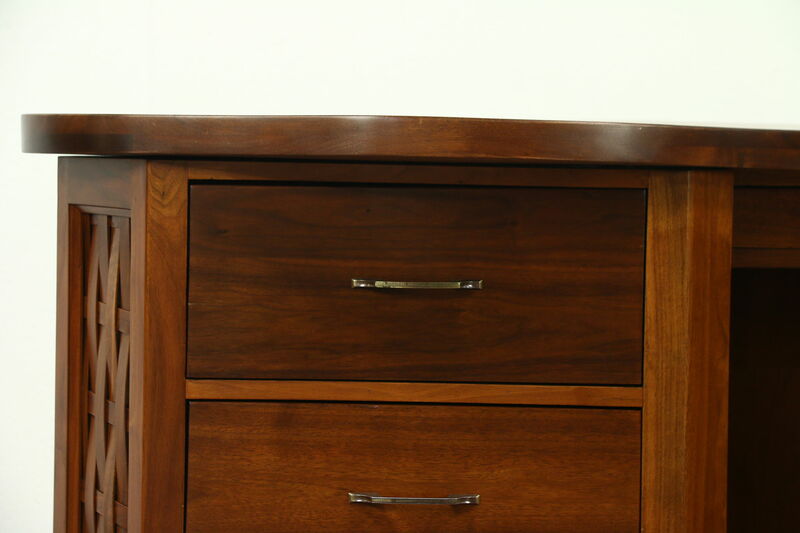 Related items in photos are sold separately.